Beautiful Moss Beach in San Mateo County is a community within the James V. Fitzgerald Marine Reserve. You’ll find the reserve where California Avenue meets Beach Street. Featured in the recent issue of National Geographic, the Fitzgerald Marine Reserve Park is about 40 minutes south of San Francisco. 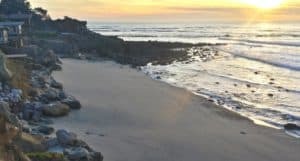 This designated Marine Protected Area has rocky shores that provide kayaking opportunities and ocean sports, but also serves as an outdoor classroom at low tide, allowing visitors to explore and learn about the diversity of marine life. On any given day you’ll likely see sea urchins, sea stars, harbor seals, various mollusks, and even the elusive red octopus. 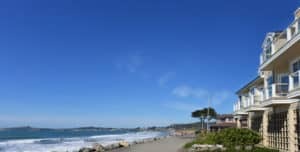 Keep reading our Moss Beach CA travel guide and start planning your vacation to beautiful Moss Beach CA. For all the great area beaches, click here. Average temperatures in Moss Beach CA vary little. If you’re looking for the very warmest time to visit, the hottest months are July thru September. The temperature highs during this time average 78°F with temperatures rarely dropping below 57°F at night. The busiest time for tourism in Moss Beach, CA, is June thru August. Prices for hotels and flights will be most expensive during these months, though you can save if you purchase well in advance. Fitzgerald Marine Reserve and its tide pools are part of a San Mateo County Park located in Moss Beach, CA, about 40 minutes south of San Francisco. 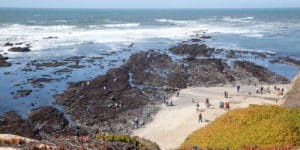 The Fitzgerald Marine Reserve tide pools are one of the most beautiful and easily accessible natural wonders of the Northern California coast. This secluded cove is within Fitzgerald Marine Reserve and is a real treat at low tide when tide pools are exposed for exploration. Behind the beach are trails that lead into a cypress forest that feels like something out of the movies with long shadows and unique tree trunks. It’s a fun hike with great vistas out over the ocean. 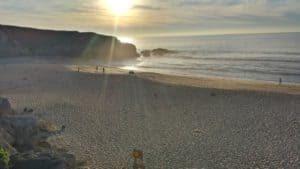 Montara State Beach is a wide mile-long beach just north of Montara along the San Mateo County Coast. Behind the beach are stunning sculpted sandstone cliffs making this a very photogenic spot. Mavericks Beach at Pillar Point near Half Moon Bay, CA is the site of the annual big wave surfing competition called Maverick’s. The big wave surf area is located a quarter-mile offshore from the bluff top viewing areas outside the Air Force military installation on Pillar Point. A huge white ball marks this spot on the bluff from miles away. In Moss Beach is a little-known sandy beach below the eroding bluffs. Above the beach there is an undeveloped open space with a well-worn footpath that follows the bluff. A couple benches along this trail have superb views out over the ocean. Look for steep routes down to the beach near the parking area. There is a sea cave at the north end of the beach to explore when the tide is safe. 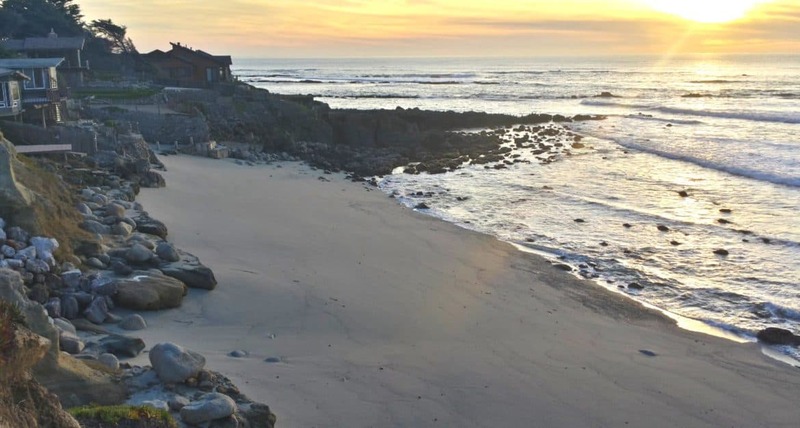 The Seal Cove Inn is truly a boutique hotel, surrounded by an oasis where you can enjoy secluded beaches, watch frolicking seals, and follow the tree-lined paths tracing the windswept Half Moon Bay ocean bluffs. The amenities continue with the beautifully appointed guest rooms, reminiscent of a European country inn. Each room is oriented toward the water, overlooking acres of beautiful San Mateo County parkland and the ocean beyond. For more information, pricing, or to reserve your room visit the Seal Cove Inn. Guests are accommodated in both shared and private rooms in former Coast Guard quarters and the historic fog signal building. Enjoy cozy lounges, a secluded beach cove with tide pools, and landscaped native plant gardens. Amenities include DSL Internet and free WiFi, on-site laundry, free parking, and an espresso bar. 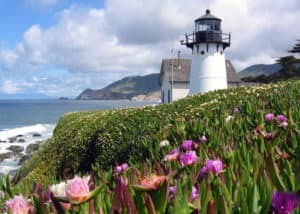 For more information, pricing, or to reserve your room visit the HI Point Montara Lighthouse Hostel. The Oceano Hotel is known for its casual luxury experiences. Each room features a bedroom and living area, as well as a fireplace for your comfort. The ideal location is nestled along the Pacific Ocean just south of San Francisco in Half Moon Bay. The Oceano Hotel is also the home of the Oceano Coastal Spa, Oceano Bar & Grill, and the Oceano Shopping Village. 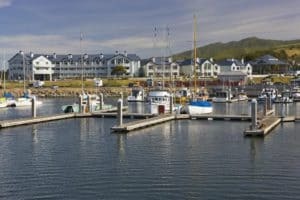 For more information, pricing, or to reserve your room visit the Oceano Hotel & spa Half Moon Bay. 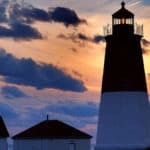 I am especially partial to lighthouses and the ocean. When I was in my 20’s and 30’s I used to enjoy going to the beaches on our coast here in B.C., Canada and just listen to the waves and feel the wind in my face. At 70 I think I am a little too old for windsurfing although it looks like a lot of fun. The back’s not the best. I only have one question. My wife and I are retiring soon and we want to travel in our trailer and explore places that we have dreamed of seeing. Do you know of any places in California where one can camp in an RV on the beach for free? Thanks for stopping by Wayne. I do not know of any camping sites on the beach that are free. I know they all charge a fee, which does work out to be a lot less than a hotel. Here is a link to the RV sites. I hope this helps. Please let me know if you need any other information. Hi there, great information on Moss Beach California! I love beach vacations and I have not been to California….yet. I want to go now though. I really didn’t know it was so beautiful. And it looks like the whole norther California area is worth traveling to. Thank you for this great information! You are welcome and I am glad I opened your eyes about the beauty of northern California! If you love beaches, then yes this is the place to vacation too for sure. Please let me know if you have any additional questions. I have been to Moss Beach in California previously, but quite a ling time ago. It truly is exceptionally beautiful. My favorite beach there has to be Seal Cove. The forest is amazing and the views on the hike over the ocean, really stunning. When I visited last, I did not stay in the area. All of the hotels in your post look amazing. I was wondering whether any are particularly more suited to older visitors, so less family oriented? Boy all of the hotels I have listed, with the exception of the HI Point Lighthouse Hostel, would be perfect for you. They are all really suited for couples. So any would work, with the exception of the hostel. Please let me know if you have any additional questions. I’ve always wanted to pay a visit to California. I’ve been to many beaches in Florida and it would be nice to try a beach from Cali. Out of all the beaches in California, what would your ranking be of the Moss Beach? 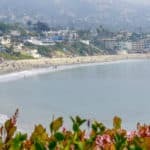 I would love to try some of California’s best beaches when I visit with the family. Boy that would be hard to do! There are really so many amazing beaches. It really depends on what type of beach you are looking for. Don’t get me wrong, Moss Beach is great! But so are quite a few other beaches in California, and there are a LOT! LOL Thanks for stopping by. Hello Leahrae. I just enjoyed sinking my feet in the sand at Moss Beach. Your post is excellent, it covers everything that anyone could want, if visiting that area. Where to stay, where to eat, what to do. I have bookmarked your website, as you have so much information here. Anytime I am ready to go for a vacation, I can just come here and get everything I need. Your website is impressive and very comprehensive. Thanks! Hi Russ, thanks for visiting and taking the time to leave me comments. I am glad you enjoyed your visit to beach travel destinations. Anytime you need any help with your vacation, please don’t hesitate to ask. Moss Beach Distillery looks excellent. I absolutely love the Moss beach area an think it is beautiful. I’ve seen reviews of the Wine Room as well, and they are mostly positive. A perfect area to bring family and friends. I really appreciate this post, so much relevant info and a lot to see! 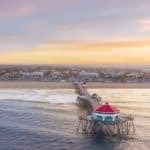 I will probably be booking a trip down to CA very soon and will definitely be on the look out to visit this area, thanks! Great Jacob, I am excited for you! I love going to California. I used to live super close and it was an easy drive. Now I am in Florida, so much further to go. But I have a lot here to explore as well. Yes, the Moss Beach Distillery is a must when you are here. Please let me know if you need any help planning. 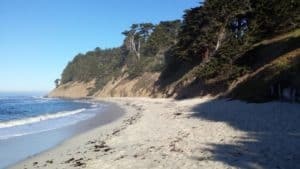 I never even heard of Moss Beach and I’m glad I stumbled upon this article! The beach looks like a great romantic getaway and I would love to go there with my bf. I would love to try windsurfing as well as go on the TapTours!I notice there are very expensive restaurants and I was wondering if there are inexpensive restaurants you would recommend? Yes Ariana, check out the Ebbtide Cafe and Here Comes The Sun. Both great and inexpensive restaurants. You can go wrong and the food is great! Yes, windsurfing is popular here, so give it a try! Another great review of another bautiful spot. 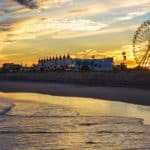 I love to read your blogs cause the decription you give of each place is superlative and really makes you wan to go there.As I mentioned in a previuos message i sent you, we are going to California this summer and you just added another place to the list of things to visit that I have already prepared. I definately will go to the Pasta Moon ristorante, I am italian and wil love to try it. Great Barbara! Being Italian will help you appreciate this wonderful little restaurant. And you will love Moss Beach CA. Thanks for visiting Beach Travel Destinations. What a fantastic website. I have been trying to figure out a good place to go with my wife. I used the search option for Turks and a beautiful article popped up. Under the package deals I was wondering if there are any links to quickly get a ball park figure for costs? 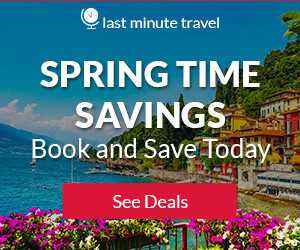 I see on airfare that there are links to Exploretrip. Thank you. I bookmarked this site to show my wife. I need to add that option Jeffrey. If you can give me the time of year you would like to travel, length of vacation and where to, I can give you a ball park cost. I’d be happy to help! I like traveling and have wanted to visit California for a while now. Beaches and beautiful scenery is the best combination in a vacation. Moss Beach CA looks so beautiful and it is now on my bucket list for sure. I really hope I can start planning a vacation here for this summer. I agree that beaches and beautiful scenery is the best type of vacation. Moss Beach will provide it all to you. Thanks for visiting Moss Beach CA. There is nothing as refreshing like going to spend time around nature, especially at a beach. I know Ienjoy the serenity of the environment and the fresh cool breeze coming from the ocean tide. Wow, you have a lot of choices for me! I am researching a vacation to California, and you have all the work done for me. I appreciate you for putting all this together so that my planning is much easier and I now have an idea of where in California I want to go. Thank you for this post. I am so glad you enjoyed your digital visit to Moss Beach CA. I think you will fall in love with the area for sure. Anywhere you decide to stay in the area is going to be wonderful. Make sure you rent a car so you will be able to really check out the entire area. Wow, Moss Beach CA sounds like an amazing getaway. I have never visited the US and planning to do so within the near future. I have always thought CA a dangerous place to live or only for the rich and famous. Had no idea that they had lovely idyllic beaches like this and not to mention Half moon bay and all the nearby attractions. 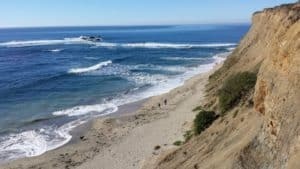 My goal is to have a family vacation that would not cost me my arms or legs…are there affordable family packages that you would know for travelling and visiting Moss Beach?